The other day I made that spinach salad with a tahini vinaigrette that tasted very similar to caesar dressing. I meant to add some more garlic and work on it a little but we ended up having it for lunch just as it was. I had some garlic croutons and romaine hearts from the little produce store I love. Wow - I was really happy with the outcome. I added a little bit more vinegar - apple cider vinegar this time - to thin out the dressing. Both hubby and I thought it got a big thumbs up as a caesar. Tonight was A's spring choir concert. 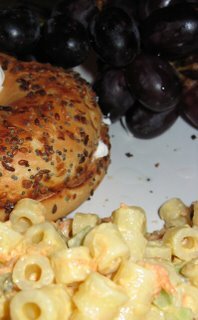 So yet another very quick dinner - tonight was toasted bagels with better than cream cheese, sun dried tomato and olive tapenade and pepperoncini, macaroni salad (with grated carrot, celery, relish, vegenaise, mustard, vinegar, salt and touch of sugar) and grapes. We just finished our front yard landscaping this past week and on one side we planted a pomegranate tree, two meyer lemon trees and an orange tree. The citrus trees have a ton of blossoms for such small trees and the smell is out of this world. I can't wait! Mmm, that looks yummy. 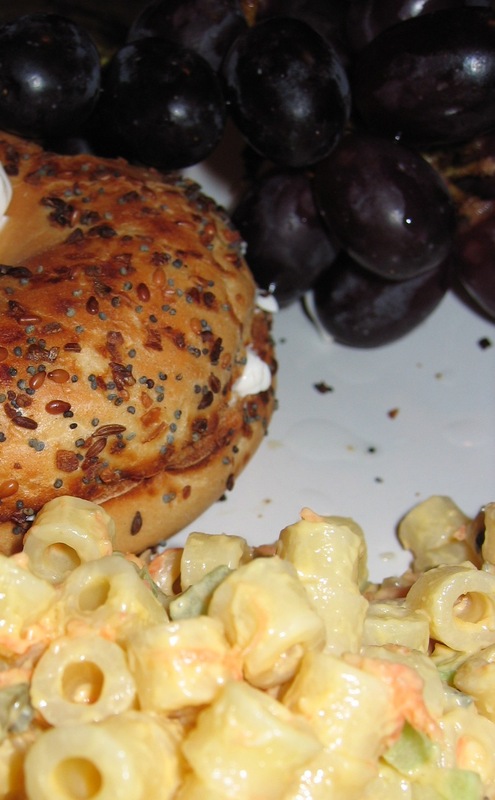 The bagel looks really good. We don't have any fruit trees but all of our neighbors do and they always share thier crops with us. I posted a couple of days ago about the smell of the neighbors orange tree, the smell is intoxicating! Enjoy your trees and fresh fruit :). oOoO...That macaroni salad looks yummy. Can you post the measurements you used? 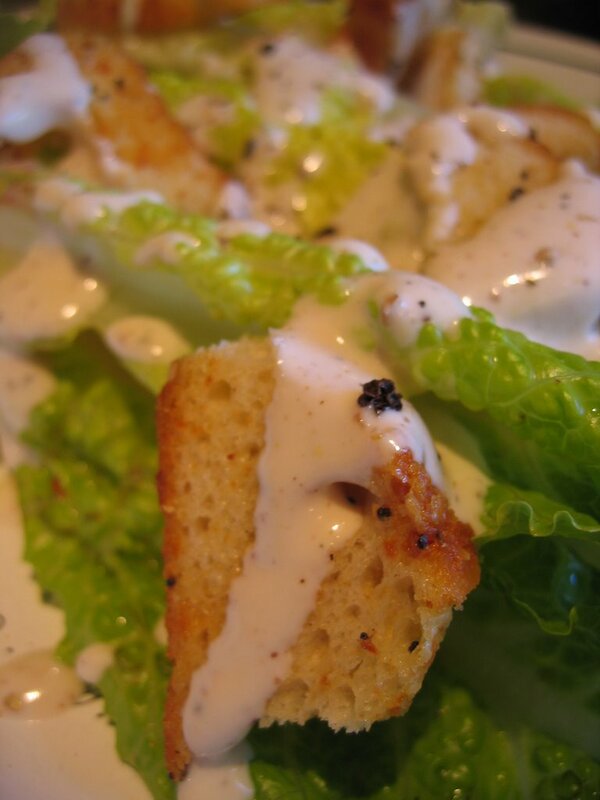 Also, I would love the caesar dressing recipe! Hi Cee - isn't the citrus the best? I have an orange and lemon trees in pots on the patio outside my bedroom and they are blooming now too. If these trees ever start fruiting we'll be overrun! We have two fig trees and they are extremely prolific.